On Wednesday, 6 June, the General Curia hosted the first of the two Brussels Hospitality Europe office meetings scheduled for 2018 with the European Provincial Reference Persons of the Order and of the Sisters Hospitallers. 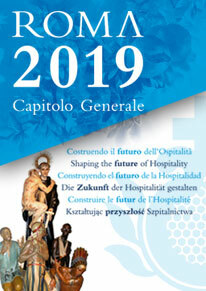 Twenty people appointed by the Provincial Curia attended the meeting, which was called to order by Brother Rudolf Knopp, President of Hospitality Europe and of the Order’s Europe Commission. Dr Carlo Galasso reported on the work of the European office in the first 6 months of the year and on the main projects it had been following up with the Union institutions. He presented the new protocol adopted by the office to appraise proposals for European projects submitted by Co-workers in the Provinces, and the likely post-Brexit scenarios, the new European Union multiannual draft budget, and the future Union funding programmes. Dr Francesco Vallebona - the Co-worker at the Brussels office – then gave a number of practical examples illustrating the main ways of drawing up, preparing and implementing European projects. The purpose was to acquaint the members with the main details of the European Commission’s calls for projects. Adjourning the meeting, the Prior General and Brother Rudolf thanked the members for their participation, and reminded them that the next 2018 meeting would be held in Rome at the General Curia on 5 December.